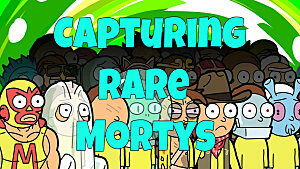 At this point, there's nearly 200 Mortys to find and evolve, and you've gotta catch 'em all of course. 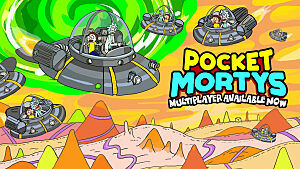 But did you know you can collect other types of Rick as well in Pocket Mortys? Just stroll on down to Salesman Rick's shop in the Citadel. 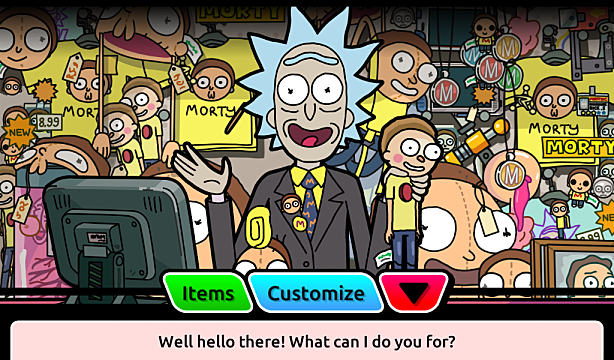 If you're out on a dimension-travelling adventure though, you can still swap out your current Rick straight from the Morty Pad menu. Just tap the new Salesman Rick's button in the center and choose "Customize" instead of "Items." 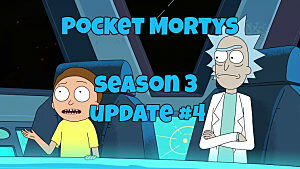 There are currently dozens of new Ricks beyond the standard scientist look. 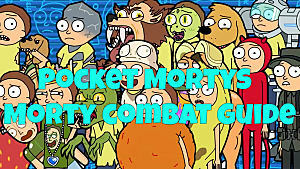 Personally I dig Aqua Rick and Karate Rick, but what I really is that want that badass Greed Rick from the Morty Games (sadly not available yet). 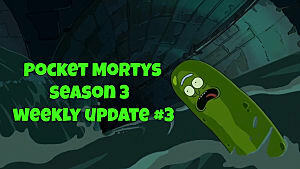 So what's the point of all the new Ricks? At the moment, it's aesthetics only, changing how you look while wandering around the Citadel or any of the trainer dimensions. That's about to change though! The multiplayer beta -- due to be released in final form as a new update for all players before too long -- lets you level up your Rick and offers differences between each Rick variety. 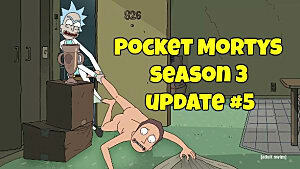 You'll even be able to buy other trainers to play as -- such as Beth, Scary Terry, or Ants In My Eyes Johnson. 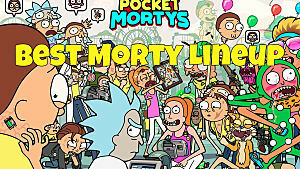 As your Rick levels, new dimensions become available for battling other players and trading Mortys. 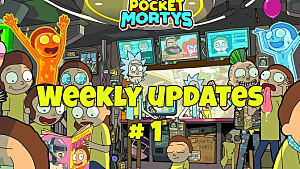 Stay tuned for full info on the new Pocket Mortys multiplayer feature coming soon! 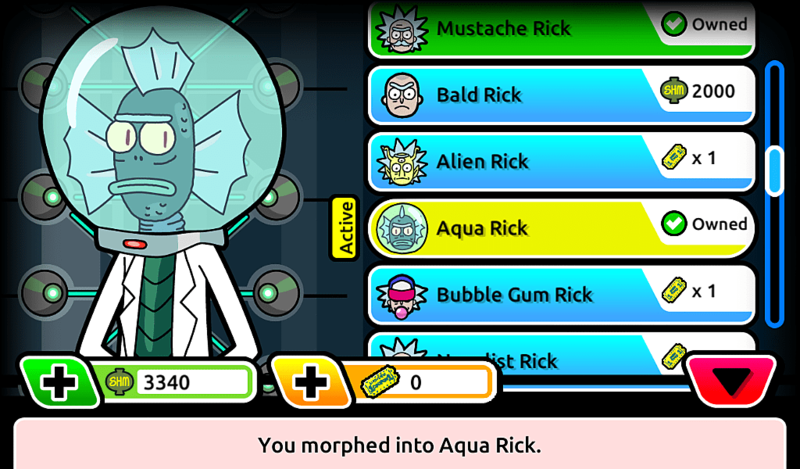 If you're just unlocking new Ricks, you'll see quite a few of them are shaded out. You've got to unlock those by earning more badges and defeating Council members. 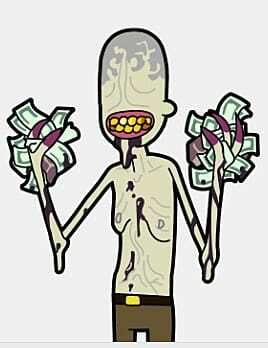 Some you can buy with paltry Schmeckles earned from beating trainers, while others must be bought with those precious Blips and Chitz tickets, which are extremely rare (for those who aren't laying down real world money on a virtual time wasting game, that is). 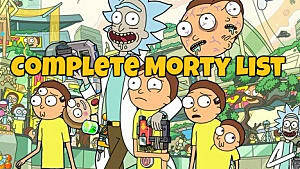 Below is a full list of every single Rick currently available, along with what they cost to acquire. 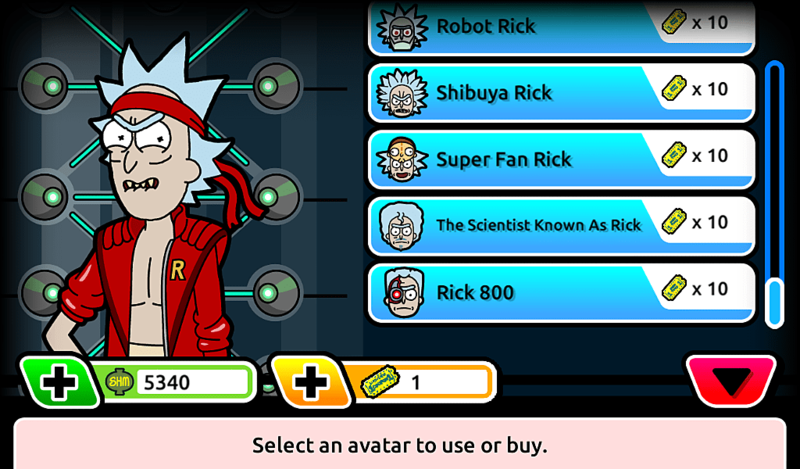 What's your favorite and which Rick are you using right now?